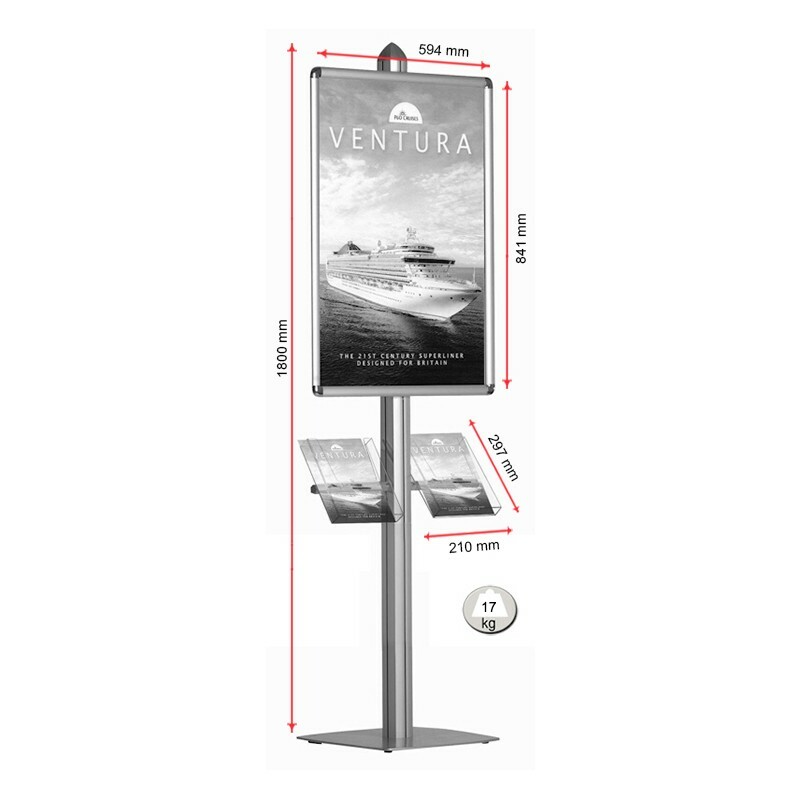 The modern styling of our retail poster display stands attract attention to your message, helping to motivate interest and sales. 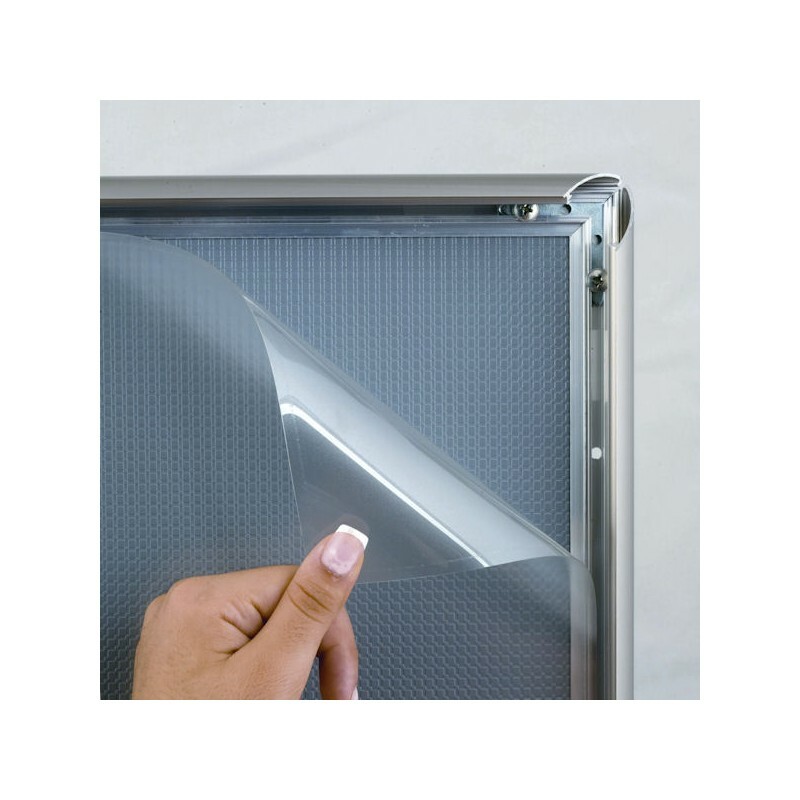 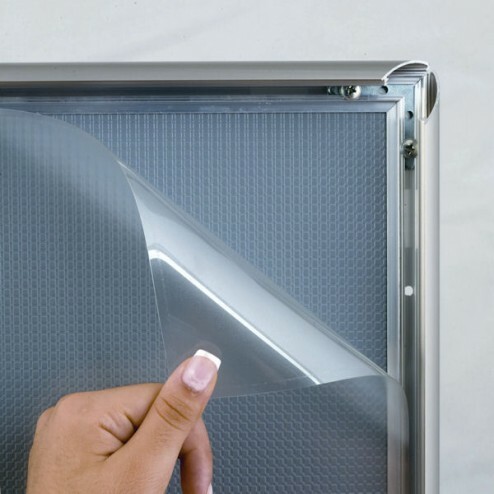 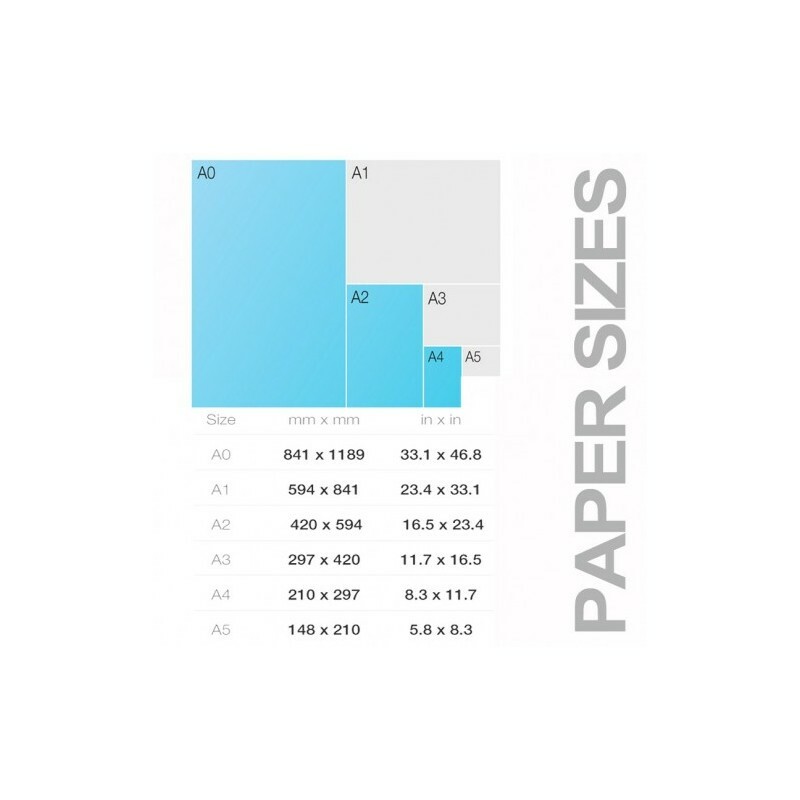 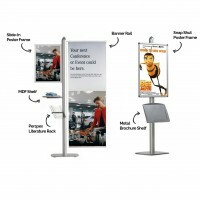 Discount Displays offers the best prices and service for retail poster displays. 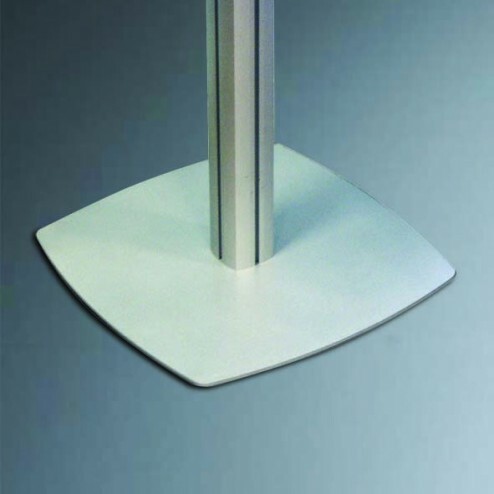 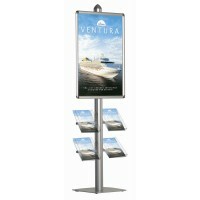 Call our sales team if you need assistance with procuring the best retail poster display stands for your requirements. 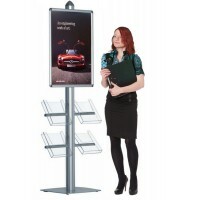 Discover a better way to promote when you choose our Dynamic 5 display stand. 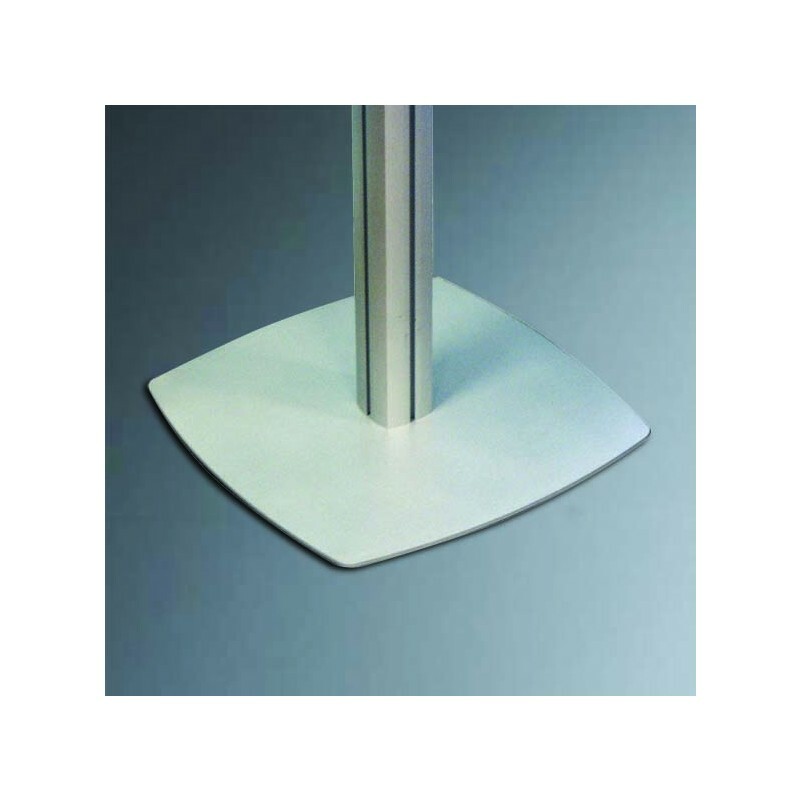 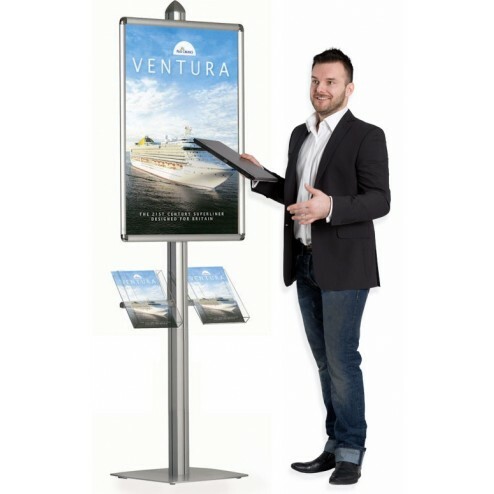 Perfect for quick and easy marketing, these single-sided stands are perfect for trade shows, exhibitions, and lobby areas, or, within retail venues such as showrooms or point of sale positioning. 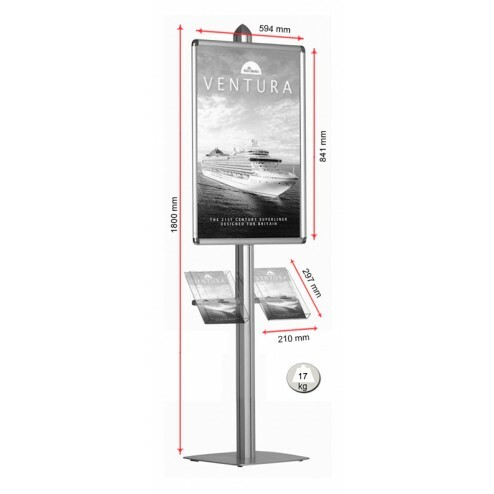 Attention-grabbing at 18000 mm high, this stand’s smart yet durable construction is perfect for showcasing A1 poster displays. 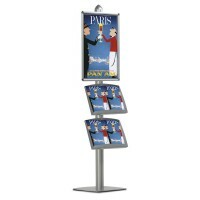 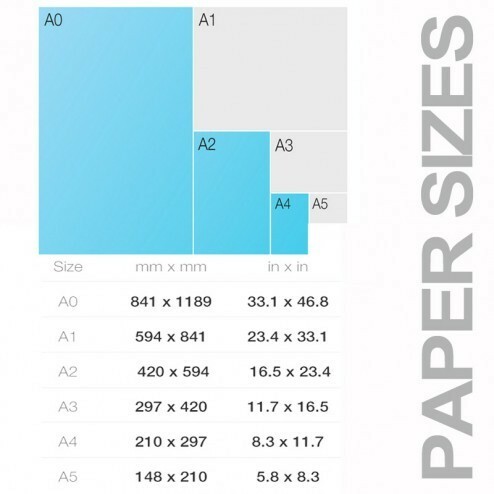 And with two convenient A4 literature holders, it provides convenient storage too. 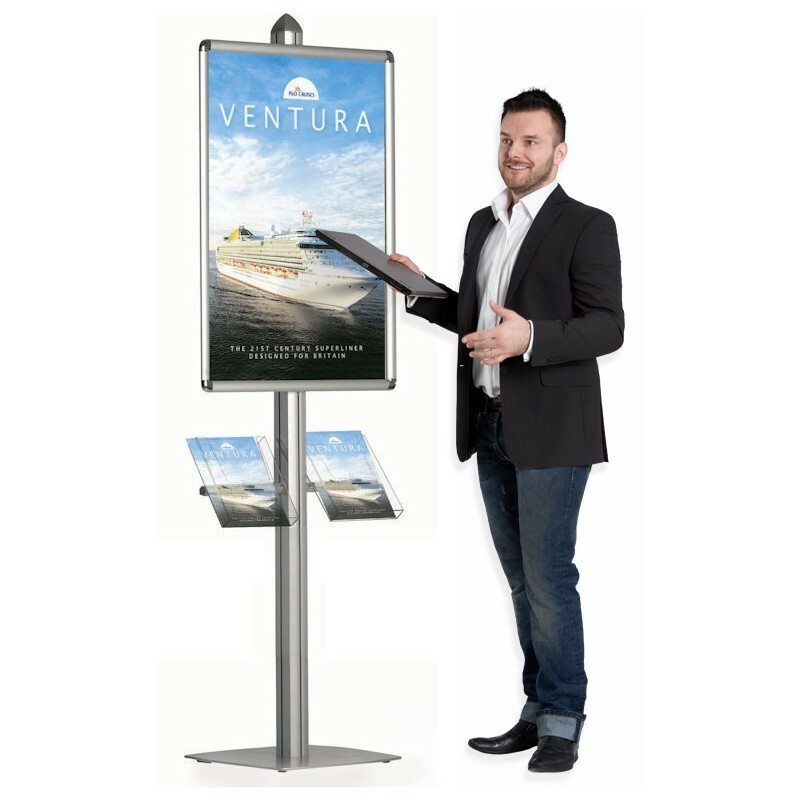 Reposition your messy brochure displays, and simply let your customers grab and go! 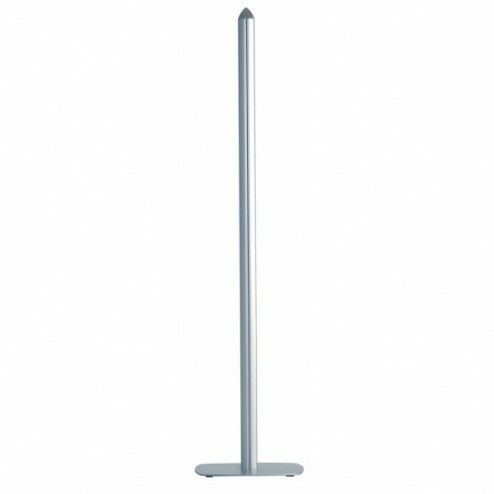 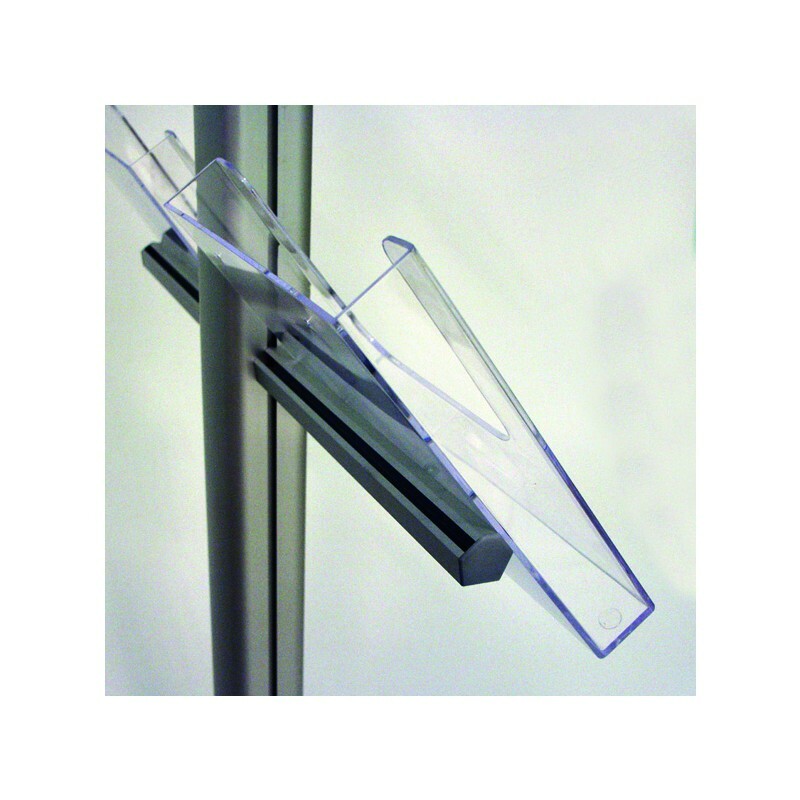 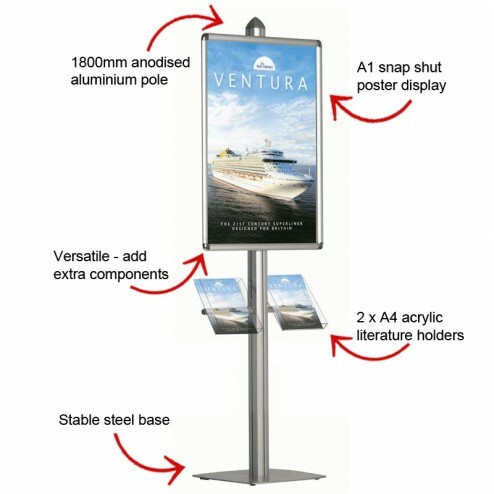 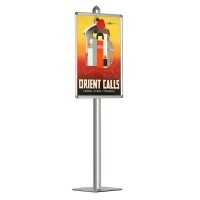 With a convenient snap frame with round corners and heavy-duty stabling stand pole, this popular stand is an economical way to relay your marketing message to the passing crowds. 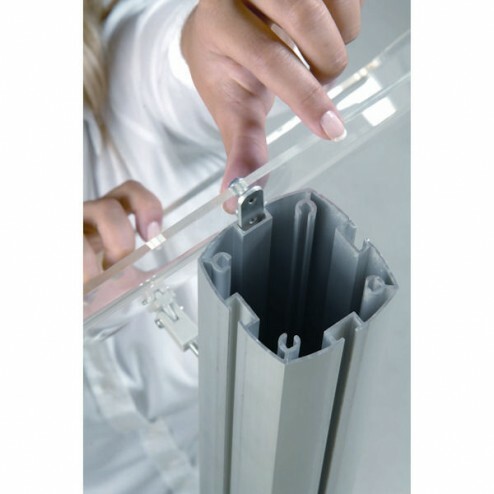 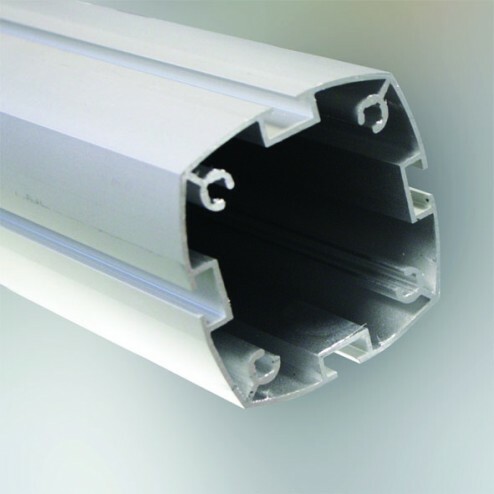 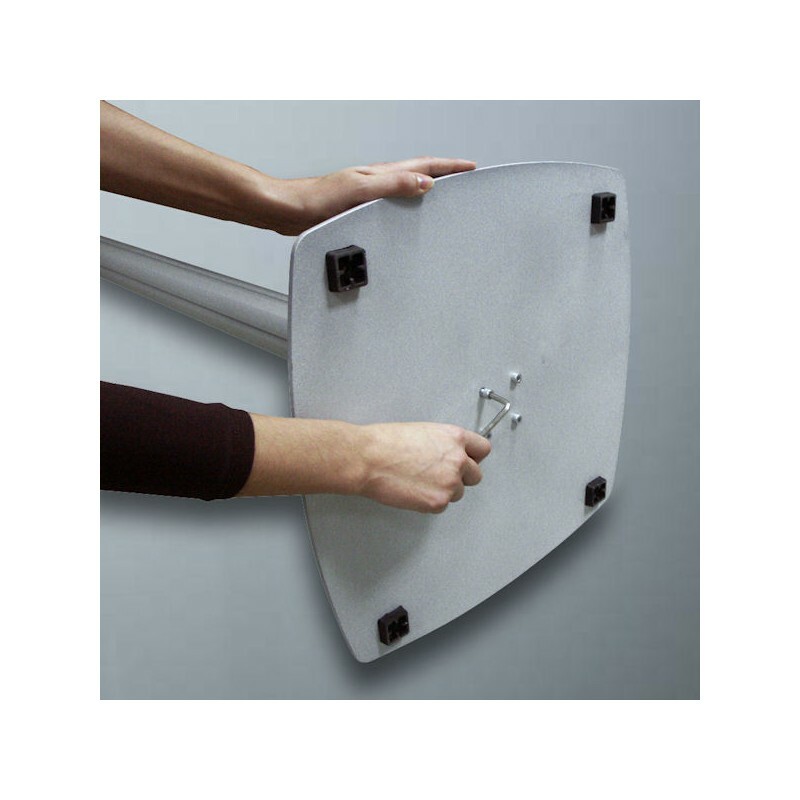 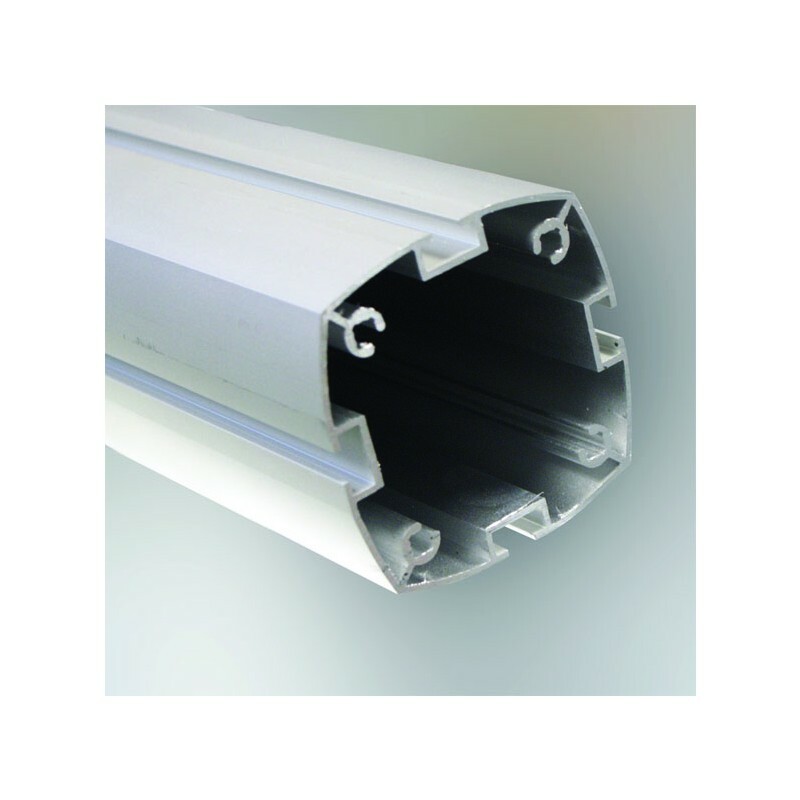 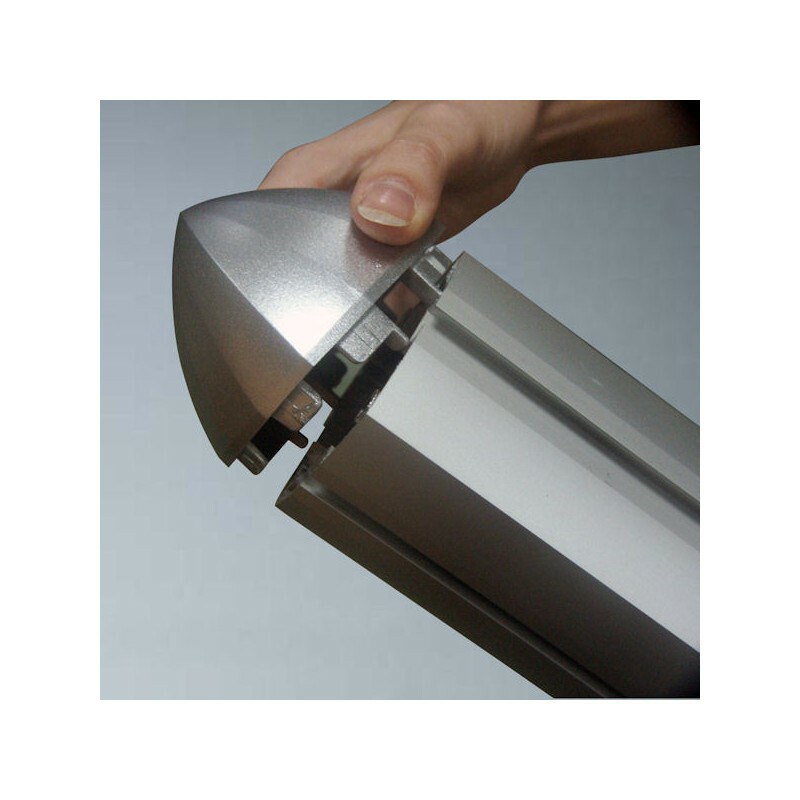 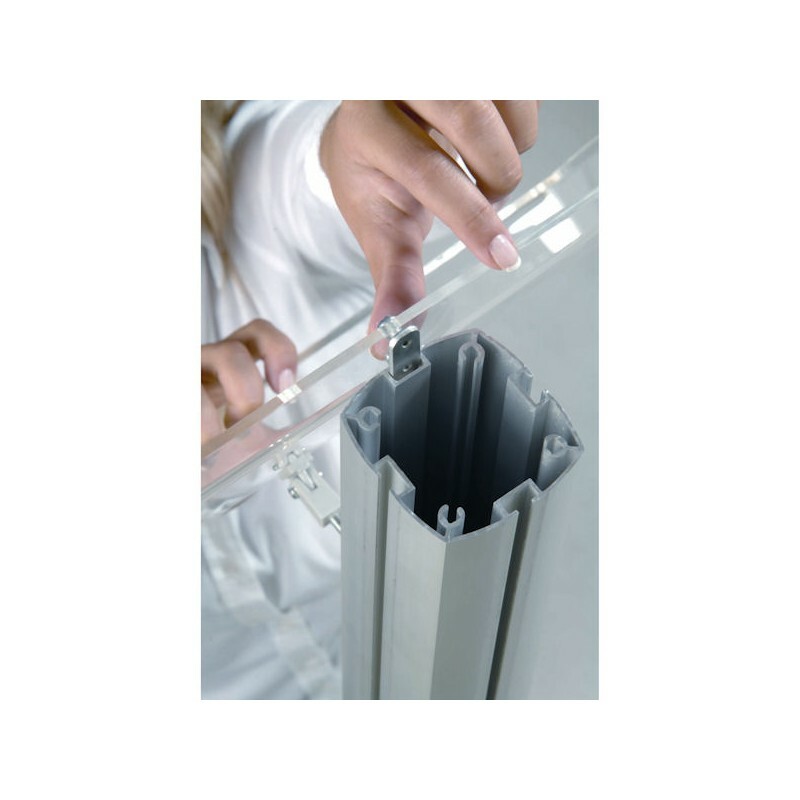 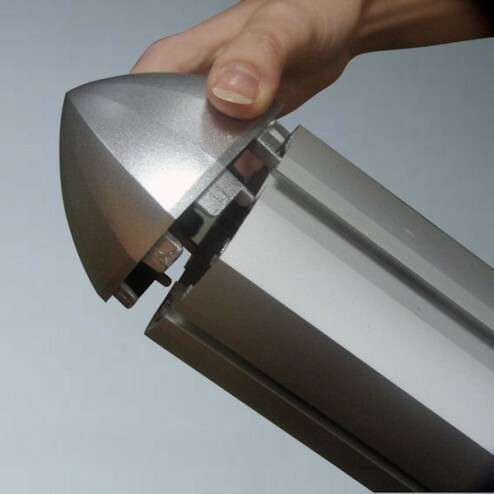 With anodised aluminium construction ensuring a premium build, the secure stand frame ensures a speedy poster interchange and the sturdy stand base is knock resistant – just the thing for busy promotional days when you need reliable equipment that really works for you. 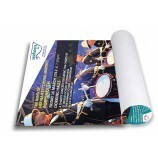 And why not commission our in design house team to create a poster that truly enhances your brand or business marketing.